Public landscape connecting sports complex, shopping center, mosque and marina into an integrated family destination. 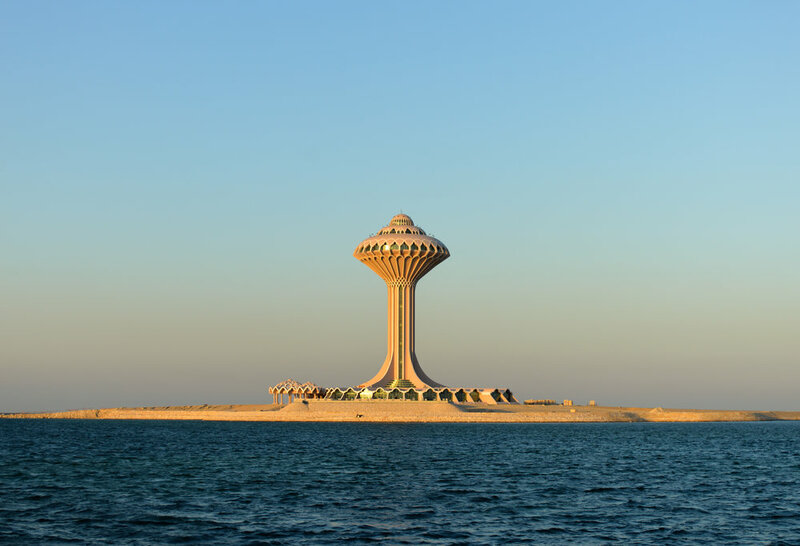 Offering a picturesque view of the Arabian Gulf, the Al Khobar waterfront is part of the Corniche along Prince Turki Street, a popular area in the city with a variety of restaurants, retail shops and malls. KLINGMANN was commissioned to develop a feasibility study to turn a marina, a souk and a sports complex into an integrated family destination. Currently, all three programs are located on three separate properties, disconnected from one another. To create a synergy between these spatially segregated components, KLINGMANN’s design team proposed a sculptural landscape lined with a network of shaded pedestrian pathways, cultural pavillions, cafes, kiosks and fountains for a families to enjoy themselves within a stimulating pedestrian environment.